GEBRUIK: Dagelijks 40 gr oplossen in 30 cl water of melk. 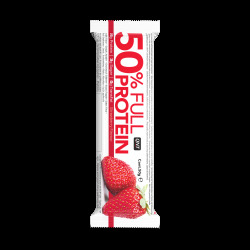 INGREDIËNTEN: proteins (calcium caseinate (milk), whey protein concentrate (milk), micellar casein (milk)), flavour, sweetener E955, Vit. B3 (nicotinamide), Vit. B5 (D-pantothenate, calcium), Vit. B6 (pyridoxine hydrochloride), Vit. B2 (riboflavin), Vit. B12 (cyanocobalamin).